We’ve just emerged from a 600 year-old village in Southern China, where we climbed countless hills and took a truly embarrassing number of pictures (over 400 in one day! ; here’s a link to some of the best). Called Ping’an, the small-but-ever-expanding locale where we happily passed two days is situated on the main ridge of an engineering feat known as the Dragon’s Backbone Rice Terraces. 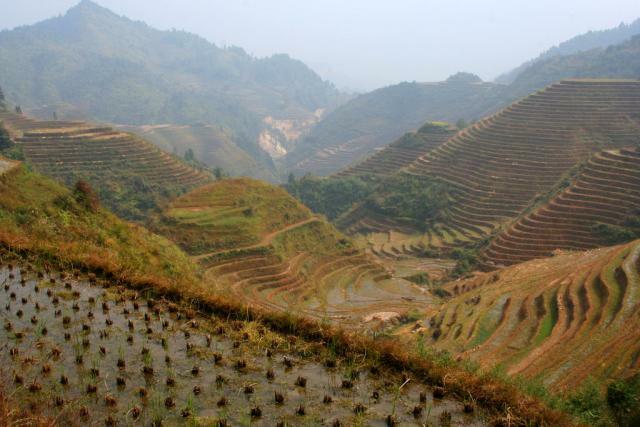 Farmers apparently started constructing these terraces, which wrap around the steep Chinese hillside like never-ending ribbons, as early as 1271. Over 700 years later, they’re just now starting to show up on tourists’ must-see lists. 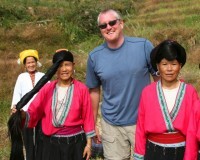 While we didn’t take advantage of any of the bargains that the Yao women claimed they were offering us, we did enlist Leun, a pint-sized Yao women, to be our guide for a day. She had to have been at least 70 years old, and she couldn’t have weighed more than 85 pounds, but she had no problem leading us on a hilly, five-hour hike to Dazhai, a nearby town that our guidebook assured us would allow us to escape even the few tourists staying in Ping’an during this, the beginning of the low season. 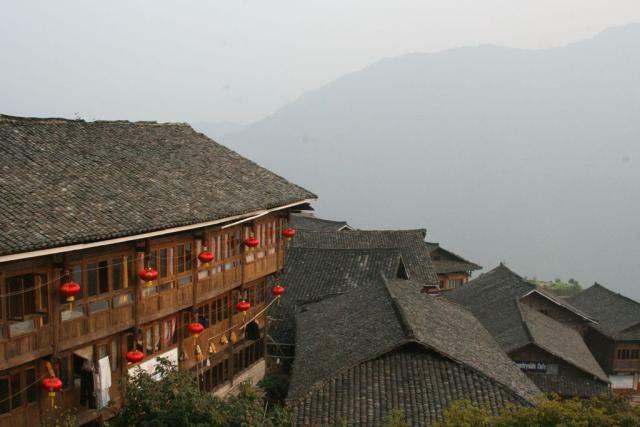 With Leun in the lead, we climbed up and down the countless terraces between Ping’An and Dazhai. It seemed that each was more beautiful and other-worldy than the one that came before it. Cows lazily watched from the sidelines as we stopped every few minutes to take pictures. A group of Yao women tracked us down on the trail and, for a small fee, took down their long hair so we could marvel, first-hand, at its incredible length. We encountered far more farmers than tourists, and we finished the hike pleasantly tired and ready to devour some dumplings and sleep soundly in our $8-a-night hotel (which, itself, smelled of freshly-cut wood). Ping’an is one of the handful of places we’ve seen so far that we feel compelled to recommend to everyone we know before it changes beyond recognition. Hopefully, the pictures alone will be enough to convince you to make the trip!